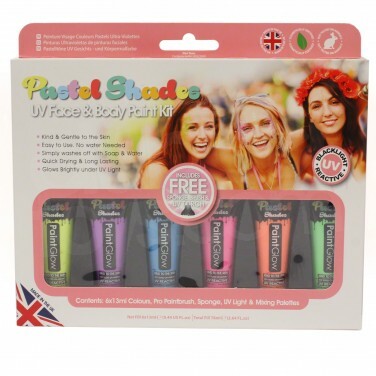 Softer and more subtle than neon face and body paints, this paint kit contains softer pastel shades of pink, yellow, purple, blue, green and orange for pretty, more feminine designs. 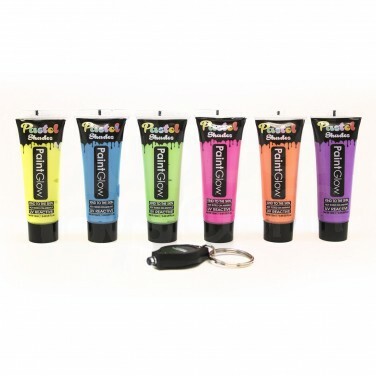 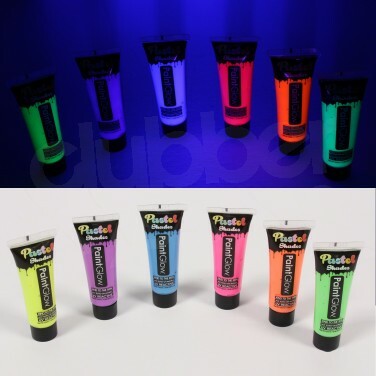 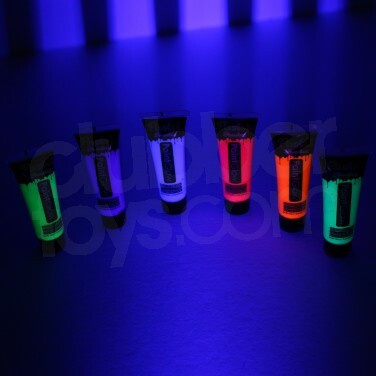 Each kit contains six tubes of UV reactive face and body paint, a sponge and brush for easy application and a UV keyring torch that allows you to fluoresce your designs for a stunning glow! 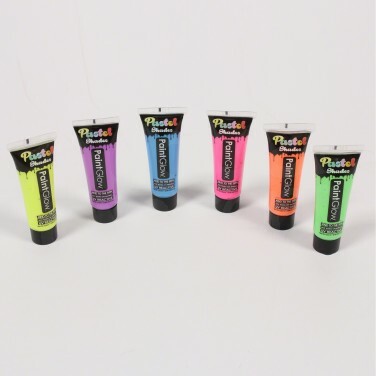 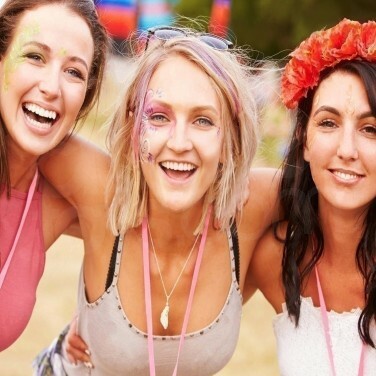 Cosmetically certified and kind on the skin, this water based body paint is easy to apply, quick drying and washes off with soap and water at the end of your party.